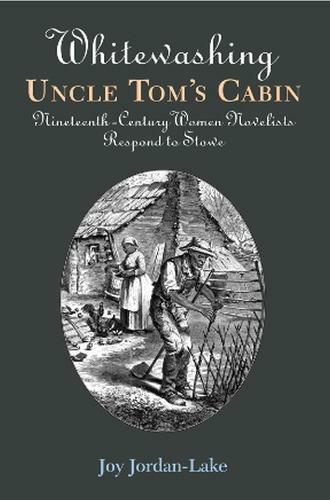 Few books have had more impact on U.S. history than Harriet Beecher Stowe's Uncle Tom's Cabin. The first American novel to sell more than a million copies, it provoked an entire reading public to extol it, debate it, weep over it, excoriate it. Fighting fire with fire, slavery apologists from North and South responded with their own fiction, producing over three dozen novels in direct response to Stowe's work. Interestingly, a key portion of that fiction was written by women. In Whitewashing Uncle Tom's Cabin, Joy Jordan-Lake examines those women-authored novels to produce compelling insights into both antebellum American culture and a proslavery ideology rife with internal tensions. Jordan-Lake begins by considering the male plantation literary tradition and then demonstrates how white women novelists of the anti-Uncle Tom school adopted characteristics from sentimental fiction, emulating Stowe's own strategies more than those of their male allies. Like Stowe, these women writers tried to appeal to maternal sensibilities and offered motherhood as a means of redemption for an admittedly fallen society. But contrary to their intent, Jordan-Lake shows, their works succumb to evasions, displacements, and contradictions that disrupt their surface narratives and reveal even their most noble women characters as mere pawns in a patriarchal game in which white society's pursuit and maintenance of wealth are made to appear humane, even holy. Ultimately, these texts dismantie themselves to expose a profit-driven chattel slavery as savage as any envisioned by Stowe. Including a discussion of twentieth- and twenty-first-century novels that revisit plantation mythology, Whitewashing Uncle Tom's Cabin casts new light on the ethical and moral disaster of securing one group's economic strength at the expense of other groups' access to dignity, compassion, and justice.
. . . careful analyses show the interlocking relationships between race, class, and gender in antebellum Southern society.